I’ve wanted to start participating in some of the lovely blog memes that are out there, and this seemed like as good a week as any! In My Mailbox is a meme lead by The Story Siren. It’s a chance to report what books we’ve acquired this week, whether by mail, bookstore, or good old library loan. What a fun way to keep track of each others reading habits! I had a very comic-heavy week, which may trickle down into my reviews, but may not. I tend to save comics and graphic novels for my tenure as intern for Bowler Hat Comics, but I may start incorporating them into my normal review queue as well. This last section is slightly cheating, because I’ve owned this books for awhile. But, I plan to be rereading them over the next week, for a class I’m assistant teaching on publishing YA books, so I feel like they somehow count. It’s sort of like I borrowed them, just from myself. This entry was posted in Other and tagged buffy the vampire slayer, ender's game, hunger games, in my mailbox, reading prospects, shiver. Bookmark the permalink. 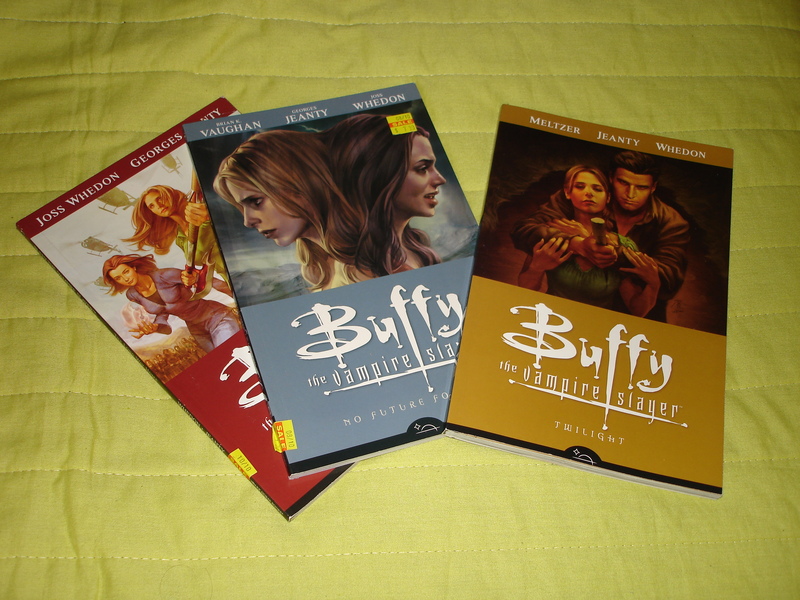 Woot for the Buffy comics! 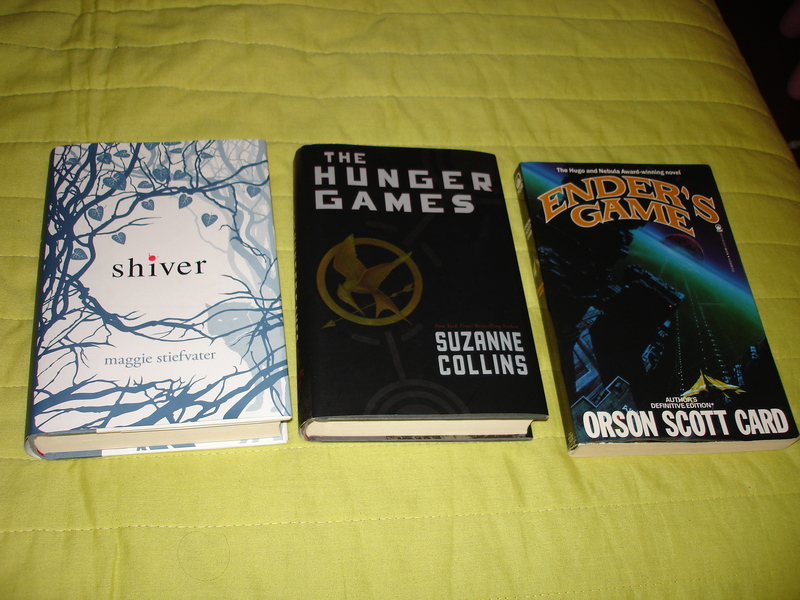 I’m working up to buying some more, I have the first two you have =) And I hope you enjoy the Hunger Games! It’s on my top reads for the year, actually for my life lol. Happy reading. I’ve read most of the Bufy comics already (except the 7th one! I bought it as a treat for myself, but haven’t been able to read it yet…so sad). I originally got them from the libarary, so now I’m slowly collecting them. I’ve actually read Hunger Games before, but all three of the books have kind of combined in my head, so I’m looking forward to reading it again. Awesome! I can’t wait to get the next comic in the series. I’m a slow go reading them with writing lol. I need to reread the Hunger GAmes too before the movie comes out. I find I’m mixing up the first and second book a little lol. =) Have a good one! Yeah, I kept getting the first and second Hunger Games books mixed up, too. It’s weird rereading the first book now though, knowing everything that happens later. I’ve actually read it once before, but I’m so excited to explore it again! Definitely one of my favorites!